Gerry and I have a real sweet tooth in our home so we love when we have the opportunity to review chocolate! Yup! There goes the diet again! We also love subscription services. They are fun- always getting a surprise box every month. And they are a great gift to give too. Tell me who doesn't love mail? 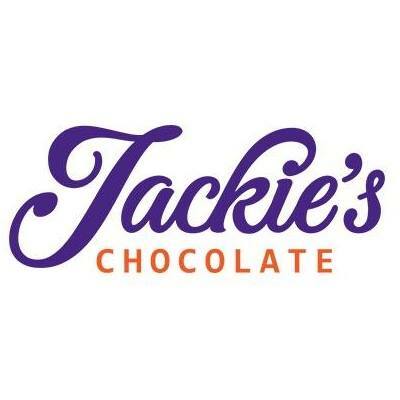 Jackie's Chocolates is a monthly subscription box for truffles, bonbons and handmade, artisan chocolates. Where you can choose from: A Little Taste, Let's Indulge or Enough to Share boxes. We reviewed the Let's Indulge Box- in a dark chocolate mix. Very nice mix and nice quality chocolates. Jackie's Chocolates has crunchy nuts though, smooth caramels and soft centers. Chocolate in white, milk and dark. The chocolate boxes are a nice treat for yourself or for another chocolate lover! We even have a special discount code for our readers. Using STRETCHING at checkout save 25% off any subscription. Annual plans offer a savings of 37%. Combined with your coupon, you can get the " A Little Taste" box for as little as $5.96 per month + s/h. Now that's a great deal!